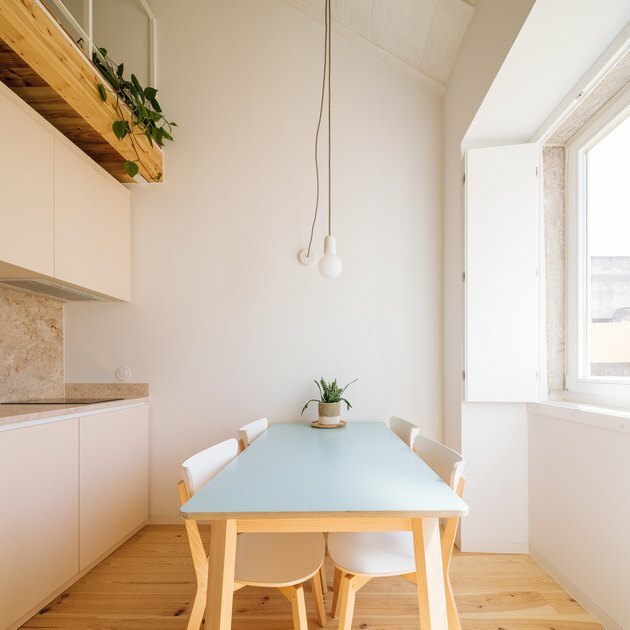 When architectural firm Lioz landed an assignment to completely rehab a mid-19th century apartment building in Lisbon, Portugal, they had to figure out how to wipe out the structure's inner workings without destroying the property's history. Built over 150 years ago, the apartments were made for small-space dwellers: each unit carved out of minimal possible square footage and featured bizarre layouts. The answer: remove walls to allow more sunlight to pass through along with a white palette that would increase the sense of openness. 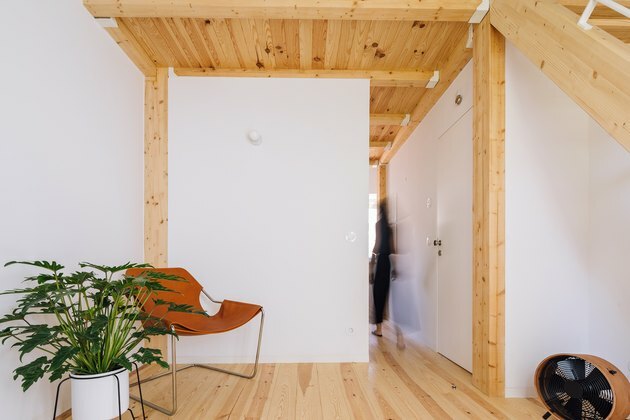 Embellishments were kept simple: The floors are all pine, while exposed wood support beams and matching ceiling offer borders created out of natural materials. 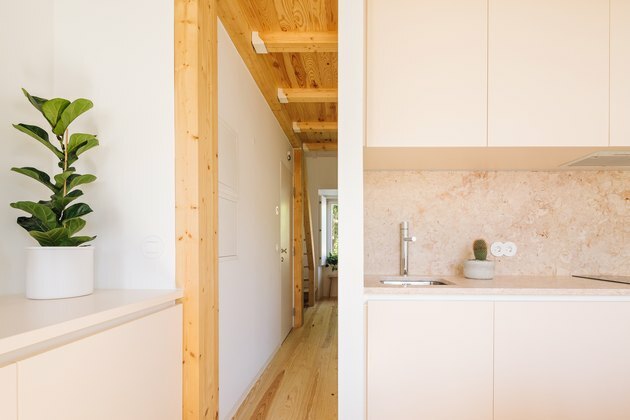 The homes may still be small, but they capture a sensibility that reflects their surroundings in Graça, a lively neighborhood known for its flea markets and cafes. 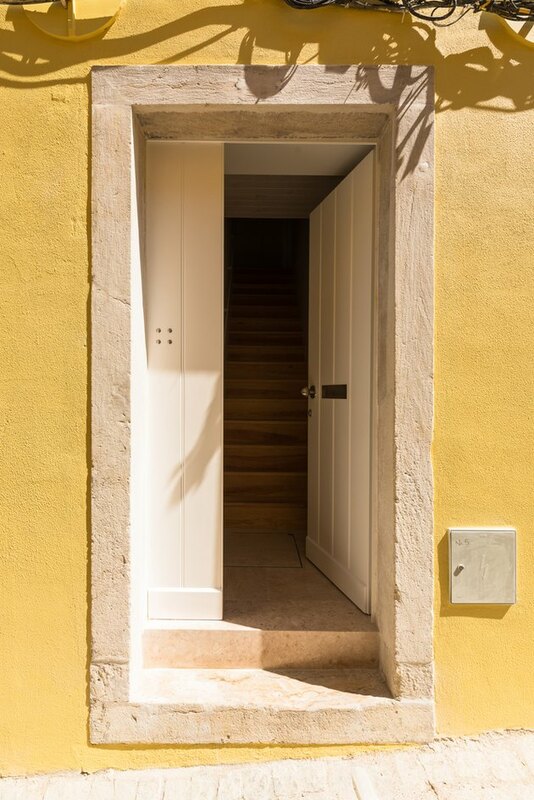 The architects chose pale yellow for the facade, a color that adds to the welcoming spirit. A Paulistano leather armchair acts as centerpiece for the living area. The chair was originally designed for the Paulistano Athletic Club in São Paulo, Brazil, in the 1950s. What's one way to upgrade a 150-year-old building? Simply let in more light. 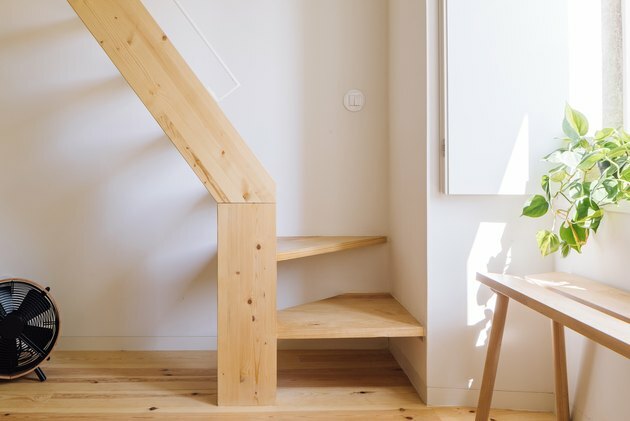 The team used bright white paint and light-toned wood to create an open and airy environment. While the team sought to increase space in the buildings, the apartments are still on the smaller side. This kitchen doubles as a dining area, and the space is also optimized with a lofted area. Carpimoderna, a Portuguese carpentry company, designed the kitchen cabinets and countertops. 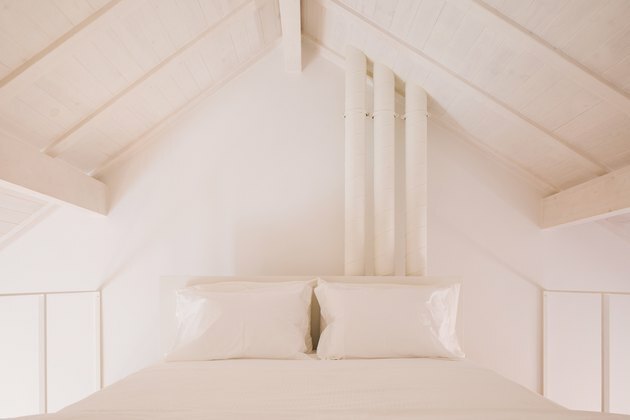 A lofted bedroom area feels more expansive thanks to its all-white color palette. In a small bathroom, practicality is key. 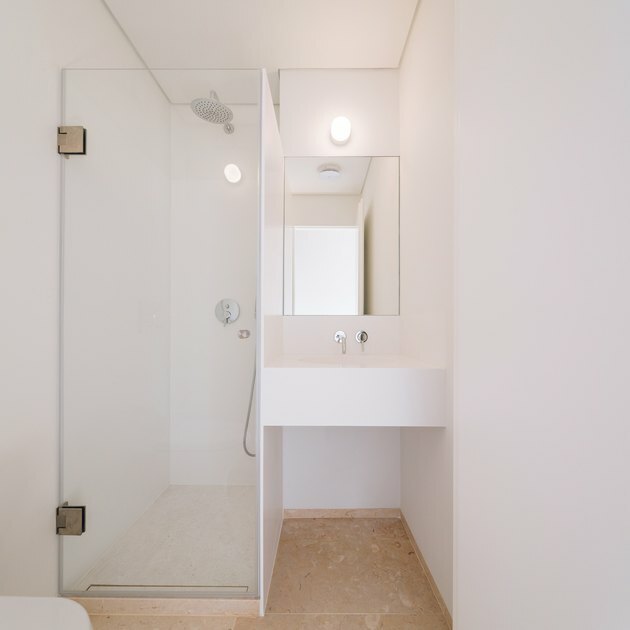 Thin glass doors minimize the amount of space taken up by the shower and its placement creates the perfect nook for a sink.